My attempts at dieting before I found the 5:2 diet and started to write my own 5:2 diet recipes were brief and sporadic. While I was never really skinny, for most of my adult life I’ve been normal, at least in my eyes, and I like food far too much to want to be constantly calorie counting. I’ve always found diets too constrained and too easy to cheat with. And, those jolly, social weight-watchers and slimmers world type clubs just don’t work for me. I much prefer the social support I get online from the facebook groups I belong to – and love the fact that they are completely free! What does work for me is a diet where for two days a week I really focus on eating low calorie healthy food. And the rest of the time I relax. That’s not to say I eat badly on a 5:2 diet fast day. I’m a two meal a day 5:2 fast diet eater. 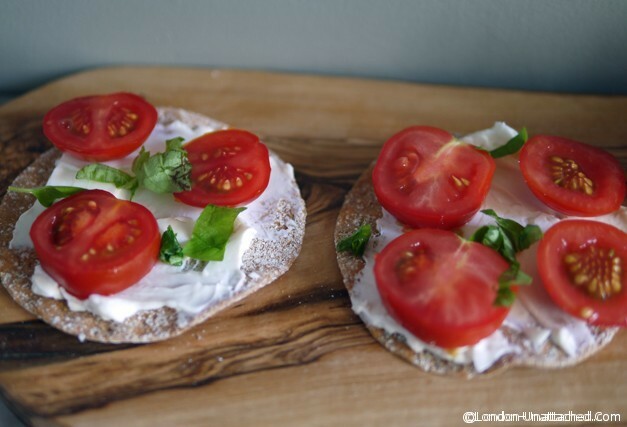 My lunches are generally soups or salads, or my current favourite (extra light Philadelphia cheese, tomato and basil on a large Peter’s Yard cracker – around 110 calories for two 5 inch crackers!). I try to leave myself 300-350 calories for a reasonably substantial evening meal, because I don’t like going to bed feeling hungry! But, one of the great things about 5:2 is that it is largely left to your own discretion how to spread your calories. I know if I was going out to work in a office, I might very well have breakfast and skip lunch. And I also know that for some people the diet works best by just having ONE meal at (say) 5pm. If you continually diet, you are putting your body in a quasi-famine situation. It slows your metabolism down and breaks the thermostat. Diets don’t work. They don’t help you understand why you’re eating more than your body wanted in the first place. Everyone has their own reason for dieting. In my case the trigger for starting the 5:2 diet was that I have a thyroid problem. It’s not serious – it does sometimes make me feel lousy and I hate the vampire sessions that are necessary to ensure I get the right level of medication. But hey, mine are once every six months. Hypothyroidism DOES slow your metabolism down though, and that can make you put on weight though – and when you are vertically challenged, a 15kg weight gain is a LOT. Enough of a lot for my doctor to warn me I needed to lose weight. But, by then I was writing about food and doing a lot of restaurant reviews. The 5:2 diet works for me because it fits into my lifestyle. It’s a way of eating that I can follow. I’ve lost 12kg – 3 more to go. It may be slow but even when I can’t fast because I am travelling, I find that I don’t generally gain weight. And, I really enjoy writing 5:2 diet recipes. Right now I am revisiting my favourites from last year – I’d forgotten quite how good some of them were. 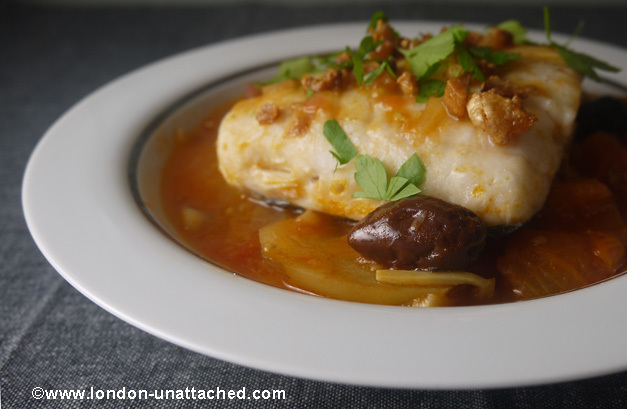 How about this 5:2 diet recipe for hake with potato, tomato and olives? Perfect for a chilly autumn day you could make this with any firm white fish – cod, monkfish or coley for example. I tend to avoid using potato in 5:2 diet recipes, but in this case a little potato works to soak up the rich tomato sauce. 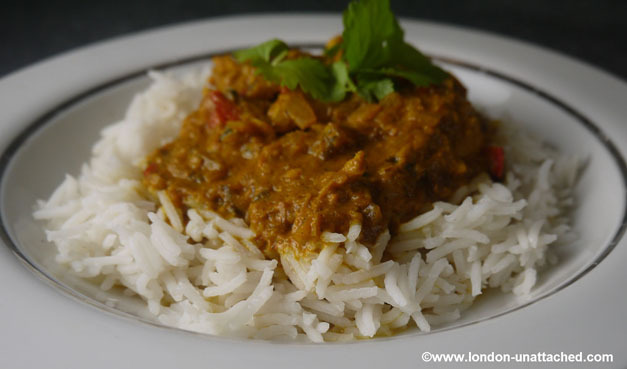 This Lemon and Coriander Chicken Curry is a 5:2 diet recipe that I adapted. The result is a very light, fragrant dish that you can enjoy not just on fast days. And now I’ve discovered cauliflower rice, I think I might try it again, with the cauliflower rice to cut the calories still further. Last year Asian flavours did feature quite heavily – and I return time and again to this 5:2 diet recipe for Asian Noodles. I’m actually rather thrilled that I spent a day this bank holiday learning how to cook Asian food properly at the School of Wok, but more about that later. Meanwhile, if you want to explore more of my 5:2 diet recipes, they are all listed on London Unattached and most of them are pinned on my 5-2 diet recipe pinterest board too. 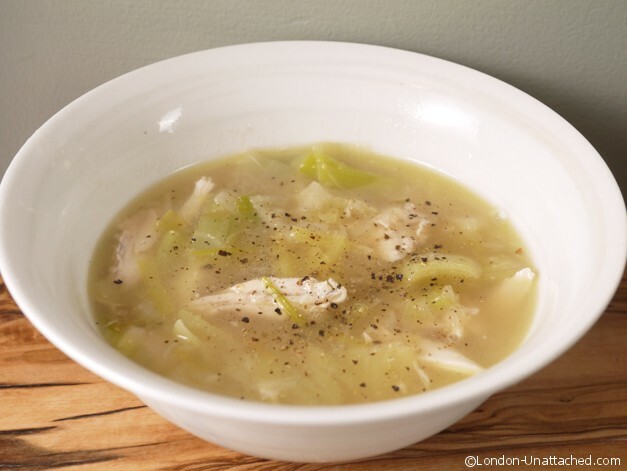 And later on, I’ll post the recipe for what is probably my favourite way to use up left over roast chicken in a kind of fusion between a soup and a stew. If you get the balance of vegetables right, it’s a great 5:2 diet recipe, although it’s one I’ve been making since I was a student! It’s very frugal, very filling and real comfort food! Do you have any recipes for success on the 5:2 diet? I’d love to hear from you about what you eat and why on a 5:2 diet fast day. The best part about the meals you cook on these diet days is they don’t LOOK like diet food! They actually seem like something that you could enjoy eating and savoring the flavors from, and it’s so much easier when you don’t feel like you’re dieting! Happy Labor Day weekend!